The line-up before the start of the race. 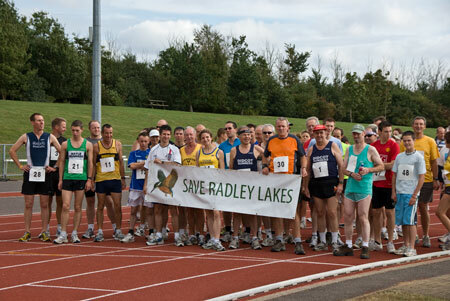 Sixty four people, aged from 16 to 76, entered the Save Radley Lakes ten kilometre multi-terrain run on Sunday, to help raise money for the campaign to save Thrupp Lake. 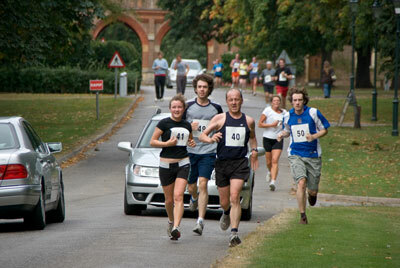 The race took place in perfect weather conditions, and runners had to negotiate a course which took them along roads and cross-country footpaths around Radley and Sunningwell. 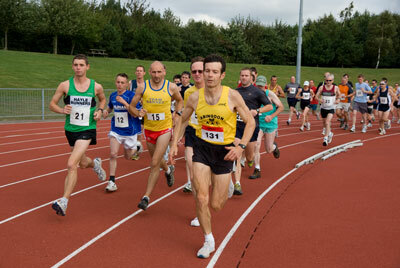 Sixty runners completed the course, with the winner finishing in just over 36 minutes. The run started at the athletic track at Tilsley Park, went over Lodge Hill, through the grounds of Radley College , and returned along Sugworth Lane and through Sunningwell, finishing back at Tilsley Park . Added interest for the runners was provided by a clay pigeon shoot taking place adjacent to the public footpath through Radley College ! 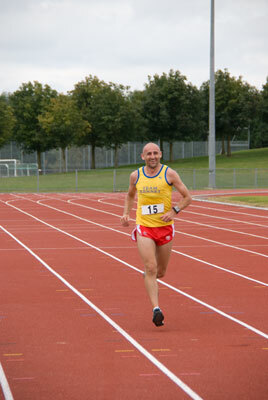 Mark Shepherd winning the Save Radley Lakes 10 kilometre Run. “I enjoy running in the countryside, but find that more and more of our countryside is being built on and destroyed. The Radley Lakes are a local issue, but they matter, so we’ve come along to show support for the campaign to save them”. “The Radley lakes are an important wildlife site that must be preserved”. “I used to swim in Thrupp Lake back in the seventies and it would be a great shame to see this lake being destroyed, so I’ve come out to register my protest. I still cycle and run around the lake and I find it a great spot to sit and watch the world go by”. “Running means a lot to me. What they’re doing to the Radley lakes is ridiculous, so I’ve come out today to support the campaign”. “This is my first 10k run. I’ve run because we mustn’t allow npower to destroy such a beautiful wildlife site”.